Decompression is a surgical procedure to relieve pressure and alleviate pain caused by the pinched nerve. A small portion of the bone over the nerve root, called lamina, and/or disc material from under the nerve root is removed to give the nerve more space. A decompression procedure removes pressure to relieve the pain in legs and lower back, as well as the discomfort accompanied by herniated discs, which are caused by a compressed nerve. There are three main types of nerve decompressions: laminotomy, laminectomy and discectomy. While a laminotomy only removes the part of the bone that is compressing the nerve, a laminectomy involves removing the entire bone. Your doctor will be able to determine which procedure will best benefit you. Both of these procedures are used to treat the pain and weakness caused by spinal stenosis, sciatica, or a herniated disc. A discectomy is used to remove a herniated disc that is causing the patient to experience muscle weakness, numbness, back pain, and leg pain. When a vertebral disc is displaced, it puts undue pressure on the surrounding nerve, which causes many painful symptoms that can be felt from the neck, down to the legs. During this procedure, your surgeon will remove the disc that is pressing on the nerve; they may also need to place an implant to help stabilize your spine. This procedure can also be done as a microdiscectomy, which uses a microscope and microsurgical techniques, but will only remove the portion of the herniated disc pressing on the nerves. 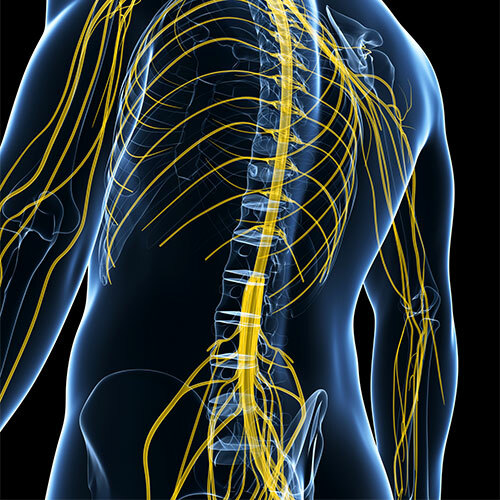 Compressed, or pinched nerves can cause pain, numbness, and loss of function. If you have exhausted your options for more conservative forms of treatment, then a nerve decompression could help you. During the procedure, your surgeon will decompress the swollen nerve area by removing the tight sections around it. Once the pressure is relieved, the nerve will once again function correctly, which should allow you complete alleviation from the discomfort caused by a pinched nerve. The decompression of a nerve is a minimally-invasive procedure, which allows many patients to go home the same day, although this decision will ultimately depend on what your surgeon thinks is best. Post-op, some patients report immediate relief of their symptoms, while others report that their symptoms gradually lessened. If you have been suffering from pain or numbness due to a pinched nerve, it may be time to talk to a doctor at the Florida Spine Institute about nerve decompression, a minimally-invasive surgery used to treat pinched nerves from various conditions.